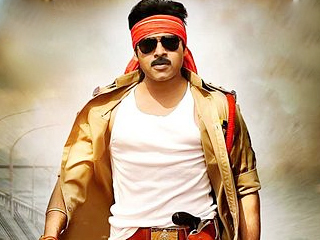 Pawan Kalyan’s Gabbar Singh which has completed three weeks run has registered stunning collections in 21 days. The film has collected over Rs. 54 crore share in just three weeks run. Gabbar Singh is poised to beat Dookudu’s full run collections this week. Which means Gabbar Singh will take the top 2 position in Tollywood all time hits list. Magadheera is currently sitting pretty on top. With the new releases getting poor talk, Gabbar Singh is continuing its dream run in the fourth week too. Pawan Kalyan who was due for a big hit for over a decade has finally delivered the goods and boy hasn’t he delivered? Producer Ganesh Babu is planning a success bash as per Pawan Kalyan’s free time.